A wonderful place to see! Seeing a spot or a flash of light in your field of vision is more than an inconvenience. It could be the first signs of a detached retina. A retina becomes detached when separated from underlying layers of support tissue. Detached retinas will lead to a permanent loss of vision if they are not quickly corrected. Once the retina pulls away from surrounding supportive tissue, spots, floaters, and flashes of light start appearing. Additional symptoms crop up as detachment worsens, including blurry vision or shadows descending over the eye. These symptoms can either occur gradually or suddenly depending on the speed of detachment. No pain is associated with these symptoms. If they occur, it is important to visit your eye doctor immediately. They can diagnose if you are suffering from a detached retina and take steps to help you regain your vision before it becomes permanently lost. 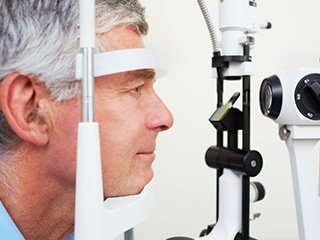 Eye or facial injuries are common causes for detached retinas. Athletes who get struck in the face or poked in the eye are usually most at risk for this method of retinal detachment. Detached retinas can also result in cases of extreme nearsightedness. Nearsighted people have longer eyeballs and thinner retinas that are more prone to tearing or detaching. Sometimes, fluid movement or new blood vessels growing under the retina can also pull it away from surrounding tissue. Cataract surgery, eye tumors, and diseases, such diabetes and sickle cell disease, can all lead to detached retinas. In extremely rare cases, retinal detachment can develop as a complication following LASIK surgery. Surgery is the only option for repairing a detached retina. It must receive immediate attention from an ophthalmologist who has received training to perform this surgery. Surgical reattachment doesn't always work. Success depends on the location, cause, and extent of the detachment. Scleral Buckling Surgery – a small silicone or plastic band is attached to the outside of the eye. It compresses the eye inward and lets it reattach to the interior wall of the eye. Vitrectomy – clear fluid is removed from the posterior chamber of the eye and replaced with clear silicone oil to push the retina back onto the supporting tissue. Pneumatic Retinopexy – a small gas bubble is injected into the vitreous body to push the retina back onto the supporting tissue.